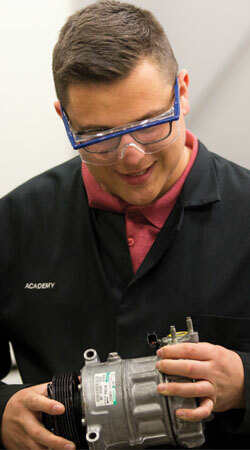 If you’re looking for an Apprenticeship that will really take you places, then look no further. As an Apprentice in the Jaguar Land Rover Retailer Network you’ll be part of an ambitious team that demonstrates the highest standards of professionalism in everything that they do. You'll be working under the guidance of a mentor in the Parts Department at one of our state-of-the-art Jaguar Land Rover Retailers, reporting to the Parts Manager and delivering a first class customer service experience to our customers. Daily tasks would include serving trade and retail customers, identifying parts to meet customer requirements, providing technical advice and processing orders.